PickCrafter is an incremental idle crafting clicker game that lets you take control of a pickaxe and dig deep into the biomes 💎 Even while idle or offline! Just start tapping to mine. Upgrade Legendary Pickaxes, collect all the blocks and gear, and unlock all the Biomes 👑 Digging for gold has never been more exciting! Tap to start, then upgrade your Artifacts and Abilities to mine deeper, faster. 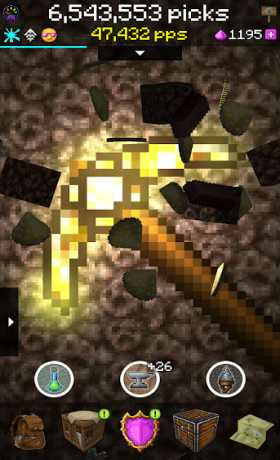 Download now and start mining for gold in one of the most addicting incremental idle crafting clicker games! How far can you dig? 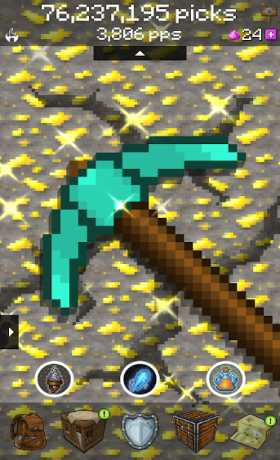 ⛏ Tap: Swing your pickaxe and Mine all the 3D blocks! ⛏ Swing: Break blocks this way too! ⛏ Mine: Earn PPS and craft blocks! ⛏ Hopper collects blocks while idle or offline! ⛏ Mythical Blocks and Machines help you! ⛏ Defeat bosses, craft their special items and earn Trophies! PickCrafter is the perfect incremental clicker idle game for fans of endless fun. Tap the day away digging for gold, diamonds, amethyst, and more! Find companions, and craft items to boost your PPS – get digging today! 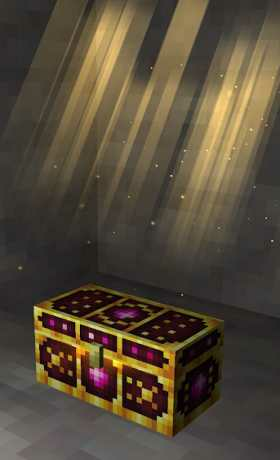 Download now to unleash your inner miner in PickCrafter!